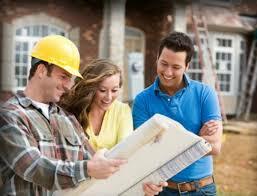 When planning to build a custom home it is critical that you hire the right building contractor. If you hire the wrong one, you may end up with a poor quality built home that took many more months and dollars to complete than you budgeted for. To ensure you hire the right building contractor for your custom home project you should look for several key attributes in your prospective building contractor. First, a building contractor should have a proven track record of building quality homes. Make sure the building contractor has been in business for several years and can provide you with a list of completed homes. The list of completed homes should include a number of references that you can call and/or visit. Make sure the reference lists includes projects that were done recently as well as ones that were done several years earlier. Call and visit some of the references. While visiting the reference properties examine the quality of construction and ask for feedback on the homeowner’s experience with the prospective building contractor. Second, make sure the prospective building contractor has actually built a home similar to your plans. You do not want to hire a building contractor that has only built basic spec homes if you are planning to build a unique custom home. Custom homes typically have complicated floor layouts, complex roofs, and use higher end materials that frequently necessitate training and expertise for proper installation. Third, look for a building contractor who demonstrates good project management skills and is methodical with his planning and construction. Building a custom home is an expensive endeavor and you want to be absolutely sure that the building contractor can be trusted with your money to build your custom home correctly. If you sense the building contractor is “winging” it during the proposal/bidding phase, steer away from him. Formal bids on a custom home building project should be well documented. 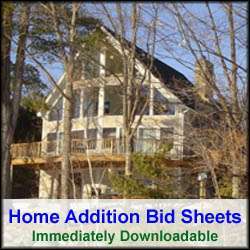 Documents should include a bid proposal with accompanying architectural drawings of the home to be constructed. The bid proposal should clearly state all project costs, as well as a detailed timeline for work to be started and completed. Payment terms and schedules should also be included. The bid should also specify all material types and subcontractors who the building contractor will use. Finally, make sure the building contractor is financially stable and has the track record and backing of a bank to support your custom home building project. The last thing you want to have happen is to hire a building contractor that goes bankrupt halfway through the building of your home. If the building contractor is planning to use a construction loan, insist on the name of the bank that he is getting the loan from. Check with the bank to make sure the builder is truly planning on using the bank. If the bank is providing him with a construction loan, then you should be reasonably comfortable that the bank has also done a background check on the building contractor.